Not ready to say goodbye? You have options! 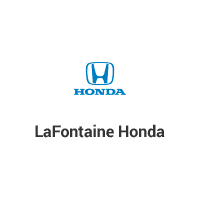 Whether you’re looking to lease a new Honda, purchase your current Honda, or simply return your vehicle, the Lease Return Specialists at LaFontaine Honda will help you make an informed decision. Take advantage of our complimentary pre-lease return inspection to eliminate or minimize unexpected end-of-lease expenses. We would be happy to provide you with a Vehicle Inspection Report, documenting your vehicle’s condition using Honda Vehicle Condition Guidelines. For personalized end-of-lease support, please complete this form or call 866-567-5088 to speak with a Lease Return Specialist today. Whether you leased from LaFontaine Honda or another Honda dealer in the Greater Dearborn, Southfield, Livonia, Westland, Taylor and Redford areas, this option allows you to return your current Honda and drive off in a brand new Honda! Our staff will be more than happy to show you the latest models and discuss additional options you may consider. Simply call us for more information. For those of you who have grown to love your Honda and its reliability, performance and high resale value, then buying your leased Honda is the best option for you! We can provide you with information regarding low financing rates and extended protection plans should you wish to purchase your leased vehicle. A vehicle inspection is not required for this option. LaFontaine Honda is a premier lease return center. Whether you leased your vehicle from us or from any other dealership, we will be more than happy to assist you. First, you must schedule and complete a free vehicle inspection during the last two months on your lease. Upon lease maturity and completion of your vehicle inspection you can simply return your leased Honda and we’ll take care of all the paperwork.